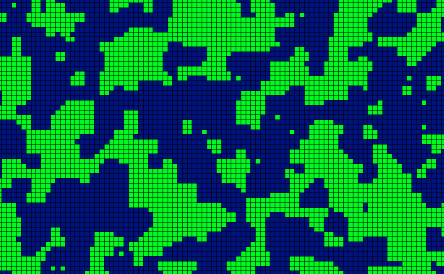 This project allows you to generate a variety of tile-based maps randomly, and then edit them in real-time with other people. Use the sidebar at the left to get more of a guided tutorial for use, or to look up specific sections. Easily randomize various settings or reseed for a different map using the same settings. Altering terrain and adding foregrounds, including custom images. Drawing lines or making boxes to apply changes in batch. Using a "Magic" tool to select groups of tiles to apply changes to. Defining "Regions" to categorize groups of locations together. Setting up rules to randomly generate text-based information on various types of tiles.